A facelift restores firmer, smoother skin. Wake up each day knowing you look your best. To find out if you are a good candidate, please call our Scottsdale office at 480-767-7700. Board-certified plastic surgeon Dr. John J. Corey has been practicing in Arizona since 1993. You are in experienced, skilled and caring hands when you choose Dr. Corey to rejuvenate your look. Marionette lines are the folds extending from the corners of your mouth down to your chin. Nasolabial lines extend from the corners of the nose toward the corners of the mouth. 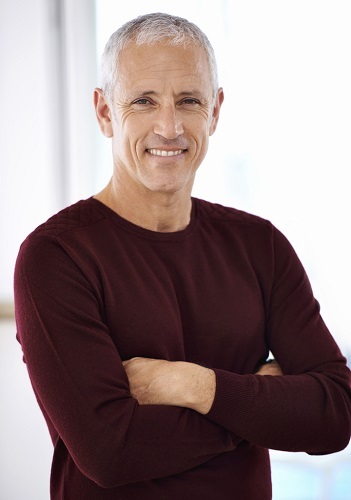 Sagging, wrinkles and loss of muscle tone are natural results of aging. But they don't have to be inevitable. Facelift surgery – also called rhytidectomy – removes excess skin, tightens the tissue and muscle beneath, and repositions skin to fit a smoother, well-defined contour. Dr. Corey determines your candidacy during a one-on-one consultation. Practicing in the greater Phoenix-area since 1993, he is passionate about providing outstanding aesthetic results. In a consultation, you will find out if you are a facelift candidate and learn of all of your treatment options, which may include non-surgical injectables . This surgery involves removing excess tissue, tightening underlying muscle and tissue, and finally re-draping the skin. Incisions are used to accomplish these steps. Incisions usually extend along the hairline, and around the front and back of the ear. Incisions vary by technique. It's true that incisions turn into scars; however, facelift scars are well-hidden within the hairline and along the contour of the ears. Scars also become lighter soon after surgery and in most cases within a month, the scars are barely perceptible. A firm, smooth neck is a youthful look! This area is one of the first to show signs of age. A neck lift restores youthful qualities by eliminating excess fat, loose skin and muscle banding (also called "turkey neck"). A turkey neck is caused by sagging and stretching of the platysma muscle, which is located at the front of your neck. A neck lift is part of a full facelift procedure. Neck lifts can also be performed alone, without a facelift. You'll discuss your goals with Dr. Corey so he can make a personalized treatment recommendation. Call our office at 480-767-7700 to learn more about neck lifts. Facelift costs vary based on technique and other factors. Please arrange a consultation with Dr. Corey if you are interested in the procedure. You will get a cost estimate from our office after meeting with Dr. Corey to discuss your options. We will also tell you about financing for which you can apply. Fill prescriptions and obtain recommended over-the-counter pain relievers. Dr. Corey will discuss medications you may take and ones you should avoid prior to your surgery. Stock up on soft, easily chewable foods you’ll need to eat for the first few days after your procedure. It’s important to keep your head elevated in the days immediately following your procedure, but you'll want to avoid big pillows that bend your neck forward. In most cases, a small towel roll is best under the neck. Prep your bedroom and home with relaxing things to enjoy, such as movies, audiobooks, etc. When the eyelids are done at the same time, you can feel a little "claustrophobic" due to the swelling of the eyelids as well. One week: You should walk around, stand and sit upright as often as possible once you return home. Doing so promotes blood circulation and reduces swelling. It will also help to sleep with your head propped up at about a 20 degree angle. You should avoid heavy lifting and vigorous exercise. Two to six weeks: You will be able to return to the full range of social and professional activities at two weeks – bruising, swelling and redness should be mostly gone. Continue to avoid strenuous exercise and activity for up to a month. We will let you know when you can begin wearing makeup again. We will also let you know when you can begin easing into your normal exercise routine. As is always the case, avoid unprotected exposure to UV rays. This is especially important in the weeks following your facelift. Sunburn that occurs while you are healing can prolong your recovery and cause hyperpigmentation. Your face should be fully healed within six months. Results of the full facelift technique can last several years or even a decade. At that point, you may decide you want to touch up your facial rejuvenation results. The full facelift is the longest-lasting because it tightens and adjusts the underlying tissues. These tissues support your face like scaffolding. By tightening and firming up the scaffolding, the whole face will be lifted for many years. Results of the more limited facelift techniques may not last as long. But these techniques can be a good option if facial aging is not advanced. It really comes down to what is right for you as an individual. Rely on Dr. Corey to determine which technique fits your objectives and to discuss all of the options available to you. Dr. Corey has been performing plastic surgery in Arizona since 1993. He can help you decide if a facelift is right for you. To arrange a consultation, please call our experienced team at 480-767-7700. We proudly serve the areas of Scottsdale, Gilbert, Phoenix, Mesa, Chandler, Tempe and all of the surrounding region.